Ever since Anna was a little girl, she wanted to get married at the historic Madison Club in Madison, Wisconsin. 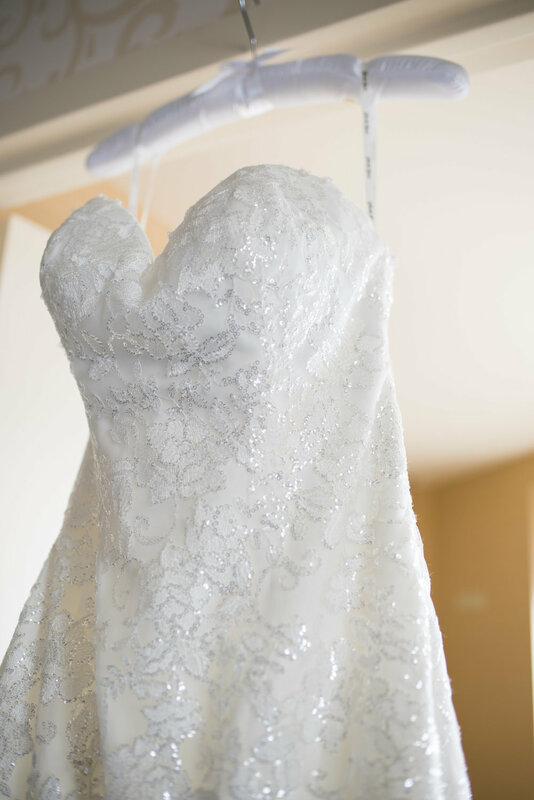 Rooms filled with sparkling chandeliers, fireplaces, a long spiral staircase, her dream wedding came to life this past April, and it was stunning on all levels. CONTINUE READING THEIR STORY BELOW THE GALLERY. After a brief first look to calm the nerves, Anna and MJ went back into their separate rooms while their guests arrived for the ceremony. The flower girls and ring bearer were so cute as they slowly made their way down the isle, you could tell they had done this before. After Anna and her dad made their way down, everyone took their seats for a very nice Catholic mass. As their guests headed back to downtown Madison, the wedding party loaded the shuttle for a joy ride with coolers full of Bud Light and a very special bottle of Anna champaign for the bride and groom. About five minutes from the venue, the shuttle got stuck behind the longest train of all time. Luckily, there were plenty of beverages and great music, it didn’t stop the wedding day fun for even a second. The Madison club is not only historic, but so beautiful. The wedding was on several different floors, so the wedding party snuck upstairs for photos while the rest of the guests gathered downstairs for cocktail hour. After family photos, Anna and MJ had a few moments together before heading back downstairs to join the party. They cut their glitter painted wedding cake which was the sign that dinner was ready to be served. Anna’s dad gave the sweetest toast in which he told a few stories of how Anna was always the sister her brothers needed. The mic was passed to the maid of honor and best man before Anna and MJ thanked their guests. Eventually, the band started upstairs and as guests gathered on the dance floor, Anna and MJ made their entrance and first dance. And dance people did- these guests had moves! There were high kicks, waltzes, shimmying, and so many twirls! Before it got too late, Anna threw the bouquet, MJ tossed the garter, and the couple carried on together with their family and friends into the night.